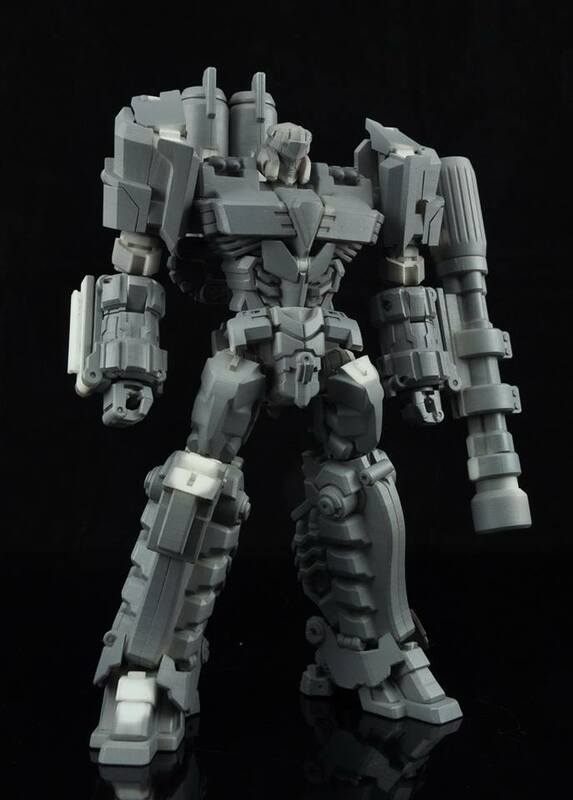 The Maketoys Cross Dimension Facebook page has been updated to show off prototype images of Rioter Despotron, a homage to a Cybertronian version of Megatron. Plenty of images were shared to show off the impressive articulation, the weapon accessories, as well as a comparison with Maketoys Striker Magnus. More info should follow shortly, stay tuned! The post Maketoys Cross Dimension Rioter Despotron – New Prototype Images appeared first on Transformer World 2005 - TFW2005.COM. You may remember the Transformers: The Last Knight billboard from New York – Times Square. Paramount has finally released it digitally for fans to download. However, a hi-res version is unavailable for now but director Michael Bay may soon add it on his Flickr account. 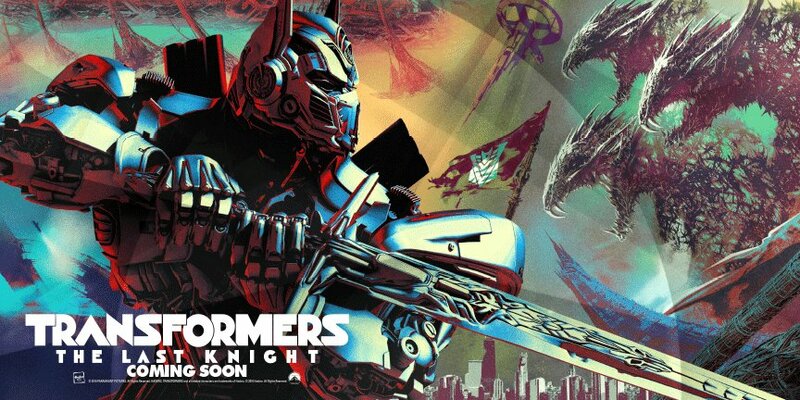 Check out the poster featuring Optimus Prime battling a three-headed Dragon monster. We’ve mirrored the poster with this news post. Check it out, after the jump. The post Transformers: The Last Knight Teaser Poster – Digital Release appeared first on Transformer World 2005 - TFW2005.COM. 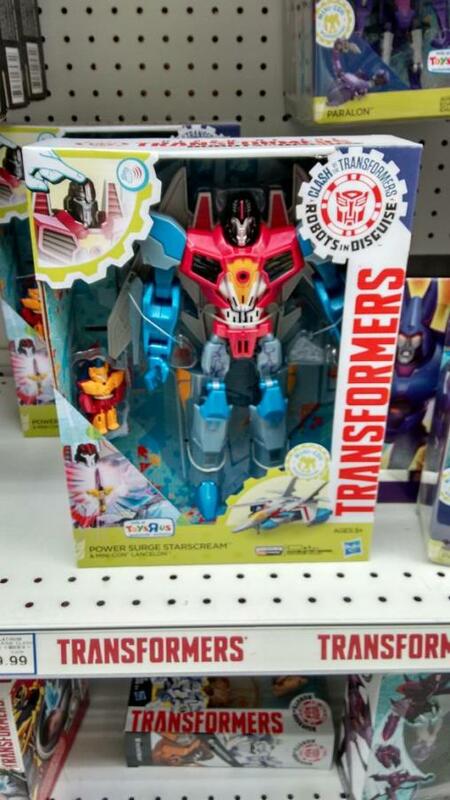 Thanks to our friends at Cybertron.ca, we have confirmed sightings of the new Transformers: Robots In Disguise 10-Step Power Surge Starscream. This 10-step Starscream comes with a mini-con named Lancelon, it was sighted at Toys R’ Us with a price tag of $49.99 CAD + tax. Who is looking for this figure? Utilize our sightings forum and help each other out! The post Robots In Disguise Power Surge Starscream Found At Canadian Retail appeared first on Transformer World 2005 - TFW2005.COM. MagnaUK has announced the 30th anniversary Blu-ray of The Transformers: The Movie will be released in the UK as a collectible steelbook! Some details from the Amazon.UK preorder listing: Special Limited Edition Steelbook Bonus Content: – Til All Are One A brand-new, comprehensive documentary looking back at TRANSFORMERS: The Movie with members of the cast and crew, including story consultant Flint Dille, cast members Gregg Berger, Neil Ross, Dan Gilvezan, singer/songwriter Stan Bush, composer Vince Dicola and others! – Audio Commentary with Director Nelson Shin, story consultant Flint Dille and star Susan Blu Featurettes – Animated Storyboards – » Continue Reading. The post The Transformers: The Movie Blu-ray Steelbook UK Release appeared first on Transformer World 2005 - TFW2005.COM. TFW2005 August 2016 Poll – What was your favorite Hasbro reveal of the past month? August has just begun, and before we move onto our next poll, we of course need to share the results of our previous one. We asked what your favorite reveal from Tokyo Toy Show was, and in the end, the results were as follows… 1. Masterpiece Cheetor (80 votes; 49.08%) 2. Masterpiece Inferno (47 votes; 28.83%) 3. Legends Super Ginrai (24 votes; 14.72%) 4. Masterpiece Thrust (8 votes; 4.91%) 5. Unite Warriors Lynx Master (4 votes; 2.45%) Having said that, July was a very busy month for Transformers fans, with multiple different conventions having taken place. And with conventions, » Continue Reading. The post TFW2005 August 2016 Poll – What was your favorite Hasbro reveal of the past month? appeared first on Transformer World 2005 - TFW2005.COM. For those looking for an Optimal Optimus that is in scale with the current line of Masterpiece figures, we have some good news for you. Newcomer to the 3rd-party scene TransArt Toys has announced their as-yet-unnamed Optimal Optimus. This figure looks to be based on the original Beast Wars figure with some additional refinements such as: extra ratcheting joints improved forearm shields to replicate their use in the cartoon retractable cannons and backpack for a more cartoon accurate look a smaller size that is more in scale with MP-10 Optimus Prime As of right now there is no information on » Continue Reading. 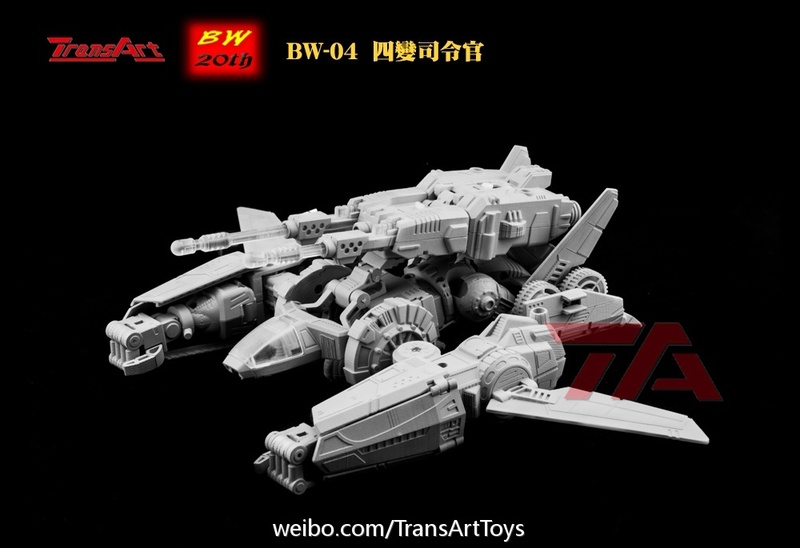 The post Product Announcement – TransArt Toys BW-04 (BW Optimal Optimus) appeared first on Transformer World 2005 - TFW2005.COM. On the last day of Cybertron Con in ShangHai, a new clip of Machinima’s Combiner Wars was shown during a panel discussing the new animated series. This short one-minute preview features the Constructicons engaging in a hand to hand battle with Megatron (voiced by Jason Marnocha) in a gladiator like arena. Machinima’s Combiner Wars series will be debutting very soon on August 2nd, but before then check out the short clip courtesy of 52toys after the break. The post New Machinima’s Combiner Wars Clip Shown at Cybertron Con 2016 appeared first on Transformer World 2005 - TFW2005.COM. 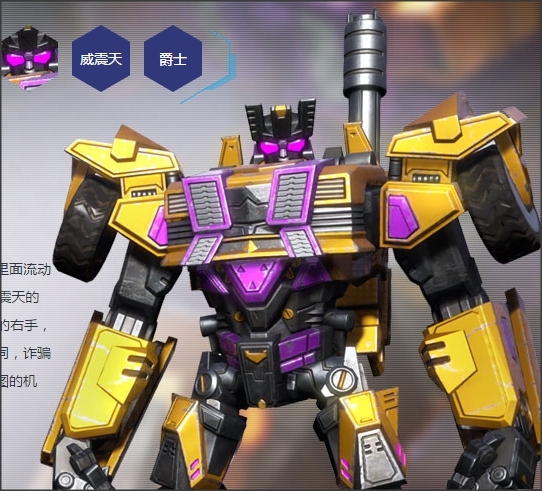 Few days ago, we brought you news of an upcoming game titled Transformers: Online for the Chinese market. There is a mini Arcade setup on the Cybertron Con 2016 floor and it’s all about the game. The new game features several fan-favorites across multiple Transformers Universes. It’s built on top of the Overwatch hype and feature a similar multiplayer battle mechanism. The official website is now live and showcases: Optimus Prime (Transformers: Age Of Extinction) Bumblebee Ratchet Bluestreak Deadend Swindle Megatron Jazz Enough chit-chat. Check out the new footage, after the jump. The post Transformers: Online Gameplay Footage And Character Class Trailer From Cybertron Con 2016 appeared first on Transformer World 2005 - TFW2005.COM. Next up in our look at SDCC 2016 Transformers exclusives is the Titan Force 3 pack. 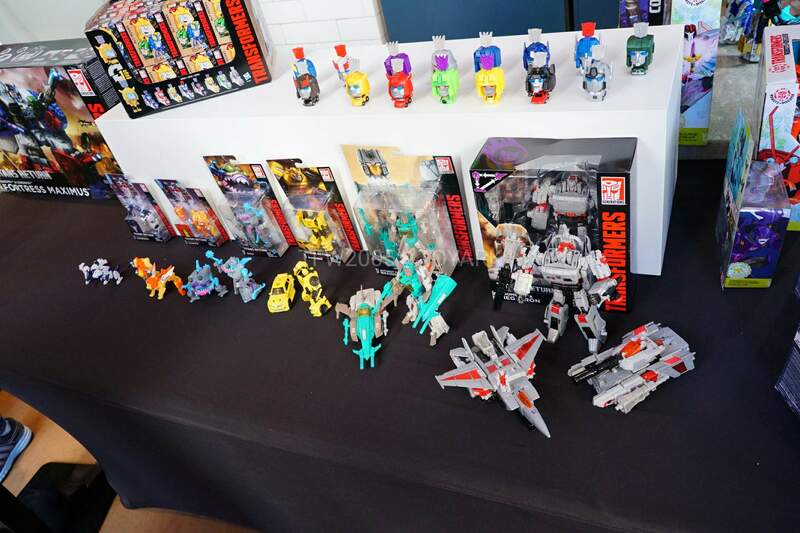 The set contains unique variants of Titans Return Sentinel Prime, the first run of Titans Return Brainstorm, and a Fort Max inspired deco of RID Windblade. Meant as a compliment to Fort Max like last years Combiner Hunter 3 pack was to Devastator, the set kicks off the Titans Return line with a slew of exclusive bots. We’ve run them all through a session here, check out over 150 pics of the trio at the links below. Key shots for each » Continue Reading. The post SDCC Titan Force 3 Pack In-Hand Gallery appeared first on Transformer World 2005 - TFW2005.COM. 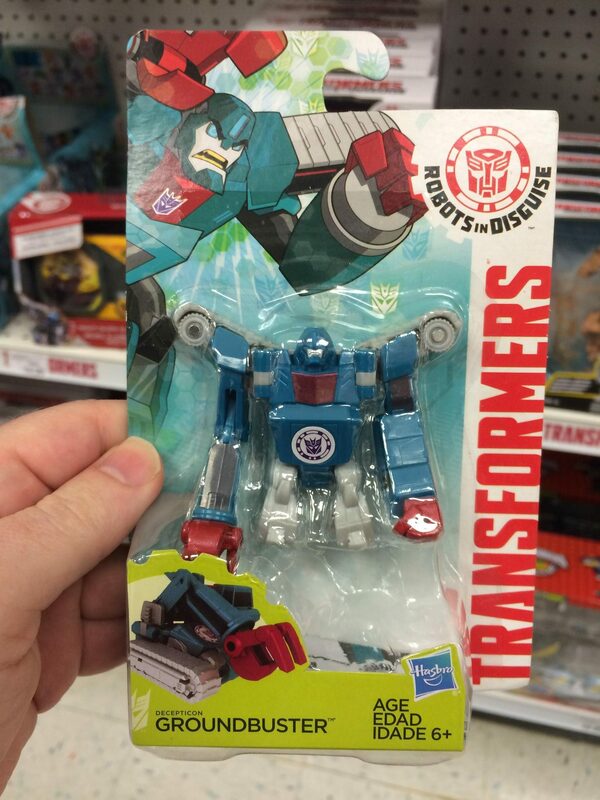 Thanks to board member MrAllenBenjamin, we have a new Robots In Disguise 2015 sighting reported, this time with Legion class Groundbuster (Groundpounder) sighted at a Toys R Us in Virginia! Groundbuster is one of three in the third Legion wave of 2016 and is accompanied in said wave by Blizzard Strike Drift, and Bisk. Keep your eyes peeled, and happy hunting, TFW! The post Robots In Disguise Legion Groundbuster Spotted at US Retail appeared first on Transformer World 2005 - TFW2005.COM. 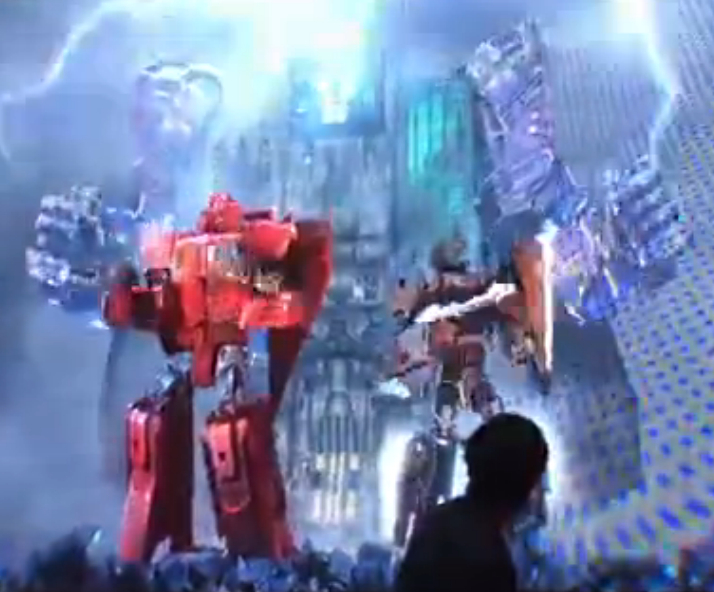 During CybertronCon 2016 in China, Michael Bay and company live streamed filming of a scene directly to the attendees. In the scene we see Mark Wahlberg in a submarine (lotsa submarines floating around this weekend) with a cohort and a CGI mocap actor, seemingly a little stressed out. 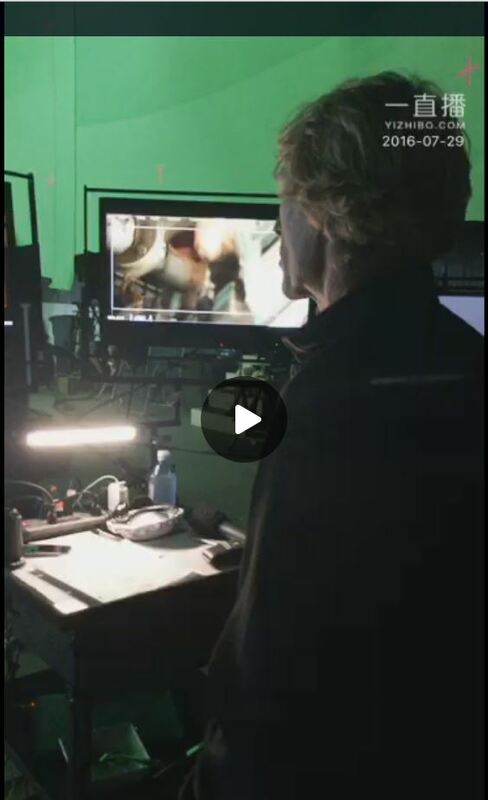 Michael Bay directly addressed the fans and showed what it’s like behind the scenes. You can check out the video here (currently can’t embed). The post Transformers 5 Set Video from CybertronCon 2016 appeared first on Transformer World 2005 - TFW2005.COM. 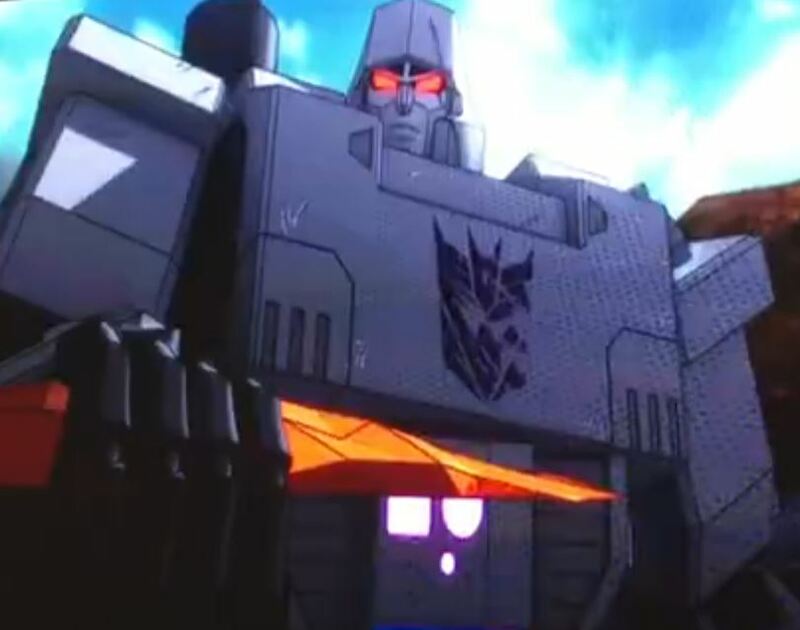 Among every thing new revealed at Cybertron Con, it appears that a new Commerical for Transformers Titans Return has been shown at the convention. 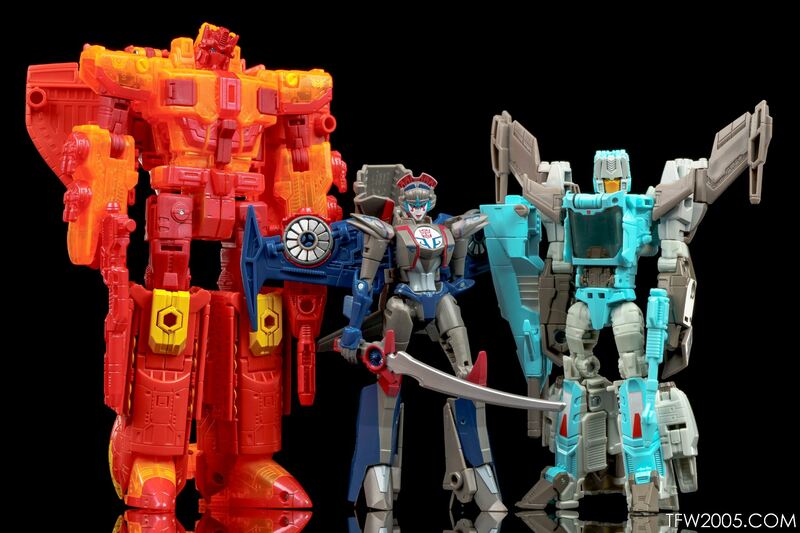 The short video features Sentinel Prime, Blurr, and also Fortress Maximus showing off their transformation and the titanmasters compatibility with different figures. Checkout the video courtesy of 52Toys after the break. Video can also be viewed here. The post New Titans Return Commercial Shown at Cybertron Con 2016 appeared first on Transformer World 2005 - TFW2005.COM. 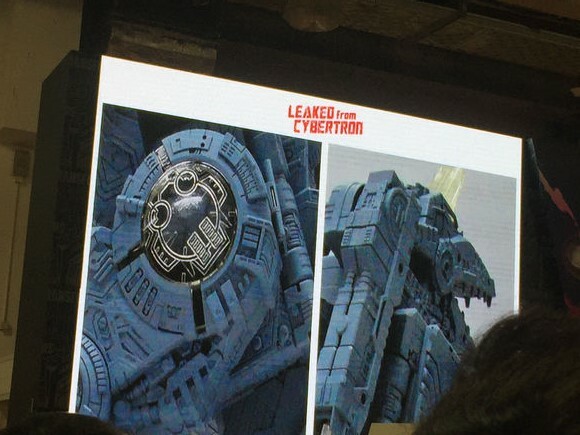 Cybertron Con First Look at TITAN TRYPTICON! Cybertron Con has just provided us with our first glimpse at the highly-anticipated Titan Trypticon! Stay tuned for more! The post Cybertron Con First Look at TITAN TRYPTICON! appeared first on Transformer World 2005 - TFW2005.COM. Transformers: The Last Knight social media marketing campaign is in full swing. Almost every single day, we hear something. For those who missed all the action due to TFCon, SDCC and CybertronCon, here’s a quick summary: Mark Wahlberg was spotted on multiple occasions with some interesting stuff. Not to spoil you, but the most noticeable item would be a sword. In fact it looks as though it’s the same sword as the one on the title of this very movie. If JoBlo article is correct (at this point there is no doubt since almost 80% of what they told » Continue Reading. 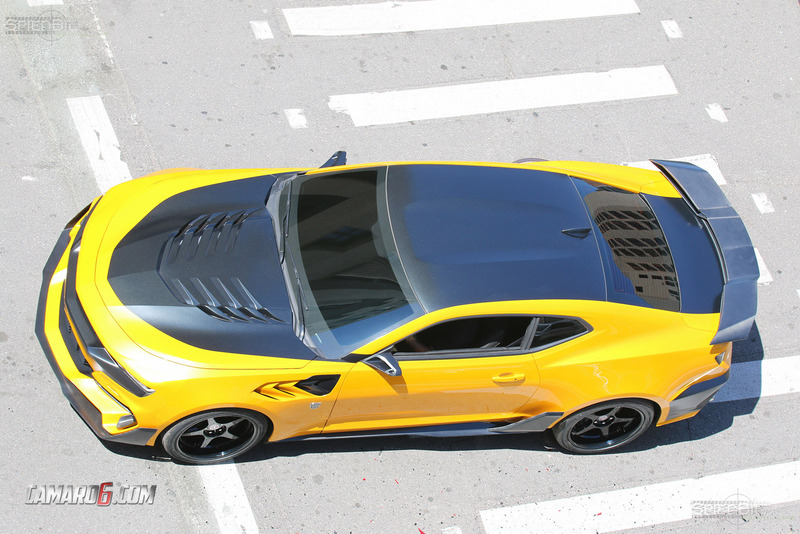 The post Transformers 5 News – Lots Of Action, Bay And A Selfie Stick appeared first on Transformer World 2005 - TFW2005.COM. SDCC 2016 has come and gone but the giant from the show is here at TFW2005 today, Fortress Maximus! The con exclusive piece featuring the Master Sword, lights and sound Cerebros, metallic stickers and alt paint retakes his throne as tallest Transformer ever. We’ve run him through the motions with over 150 HD shots. Take a look after the break at a select few, and jump on over to the full gallery here. Don’t forget to share your thoughts on the 2005 Boards! 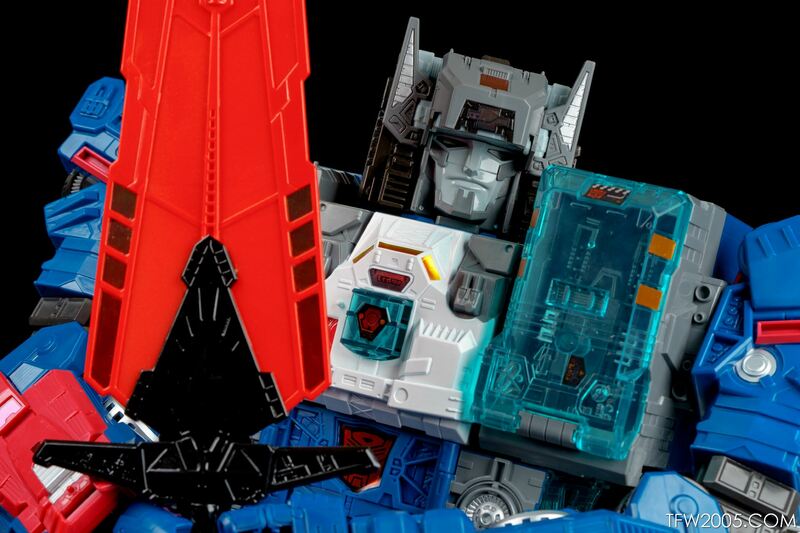 SDCC Fortress Maximus Key shots here, 40 below in this story, 150+ <a href="http://news.tfw2005.com/2016/07/29/sdcc-fortress-maximus-hand-gallery-320703">» Continue Reading. The post SDCC Fortress Maximus In-Hand Gallery appeared first on Transformer World 2005 - TFW2005.COM. Limited to 650 copies worldwide, this exclusive cover to Transformers Titans Returns will be available for TFcon attendees to purchase at the 2016 Chicago convention at the Acme Comics booth. Being a huge Transformers fan, the artist Chris Giarrusso, best known for the all ages graphic novel G-Man, drew inspiration from the original Transformers toy line 1987 box artwork and will be attending the show in Artists Alley for people who want meet him, get sketches, or have their copies signed. TFcon Chicago 2016 will take place October 21-23, 2016 at the Hyatt Regency O’Hare with special guests MICHEAL BELL » Continue Reading. The post Transformers Titans Returns TFcon Chicago/Acme Comics Exclusive Cover Variant appeared first on Transformer World 2005 - TFW2005.COM. The post Cybertron Con 2016 Titans Return Reveals Official Images appeared first on Transformer World 2005 - TFW2005.COM. 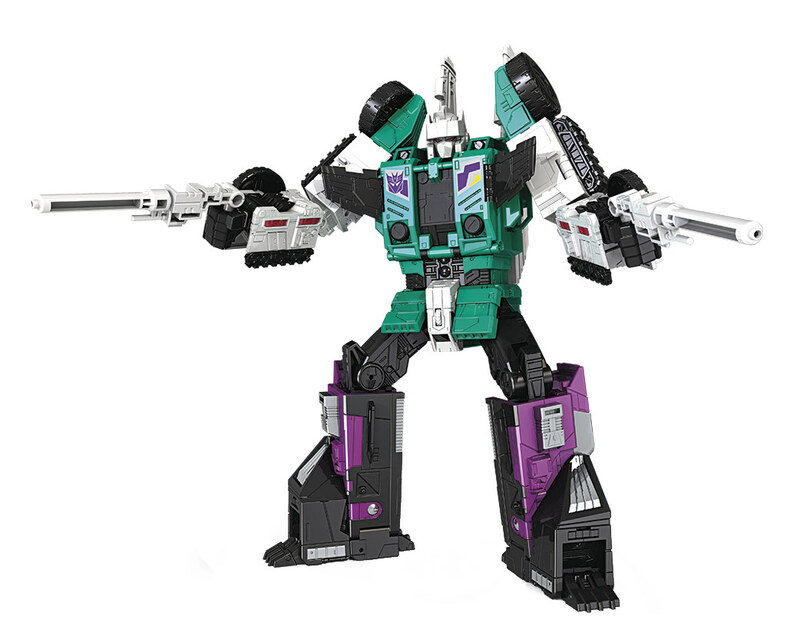 Seeker fans, here comes the sixth member of the Decepticon air combat group to round out your Masterpiece Decepticon air forces! Masterpiece Dirge was on show at ACG HK 2016. He’s using the same MP-11 mold variation as the recently released Ramjet and upcoming Thrust. 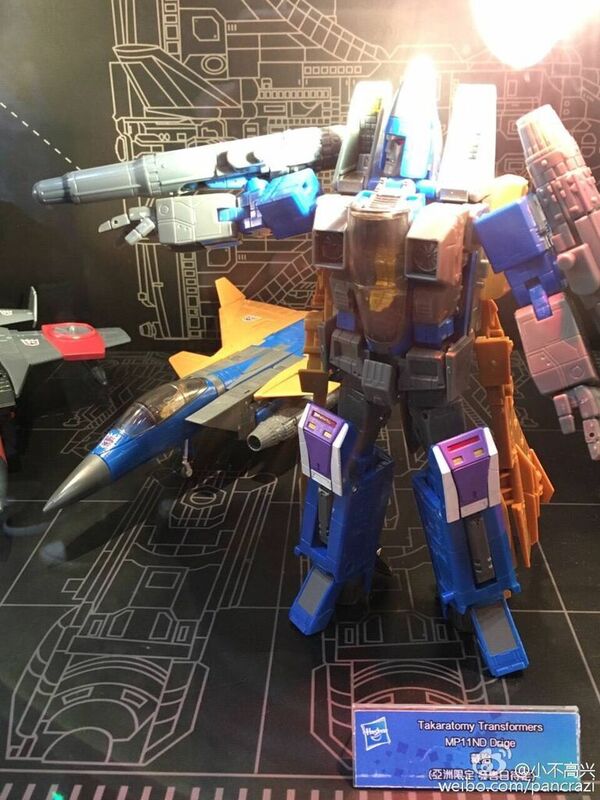 There’s no release date or details of how you’ll be able to get this one given yet, though the smart money says that Dirge will follow the trend of Ramjet and Thrust, and be a Takara-Tomy Mall exclusive. For now, check out the image care of Pancrazi’s Weibo feed and get ready to own all » Continue Reading. The post Masterpiece Dirge revealed appeared first on Transformer World 2005 - TFW2005.COM. Here is a quick update from our friend and sponsor Robotkingdom! 1. SDCC Exclusive items listings Ready NOW! 2. Titan Return Stickers Available! Sticker Picture Updated For any customers who purchased the Hasbro Titans Return items with USD40 or above, will receive 1 Hasbro Exclusive Titans Return Sticker Per Order! https://www.facebook.com/Robotkingdo…03785159640197 3. Free TF Movie 3 Trading Cards for every orders and unsent Preorders! For every USD50 ordered, 4 pack of TF Movie 3 Trading card will be included. For over USD300 Order, A Card Album will also be included! If Any customers do not » Continue Reading. The post Robot Kingdom Newsletter 1336 appeared first on Transformer World 2005 - TFW2005.COM. 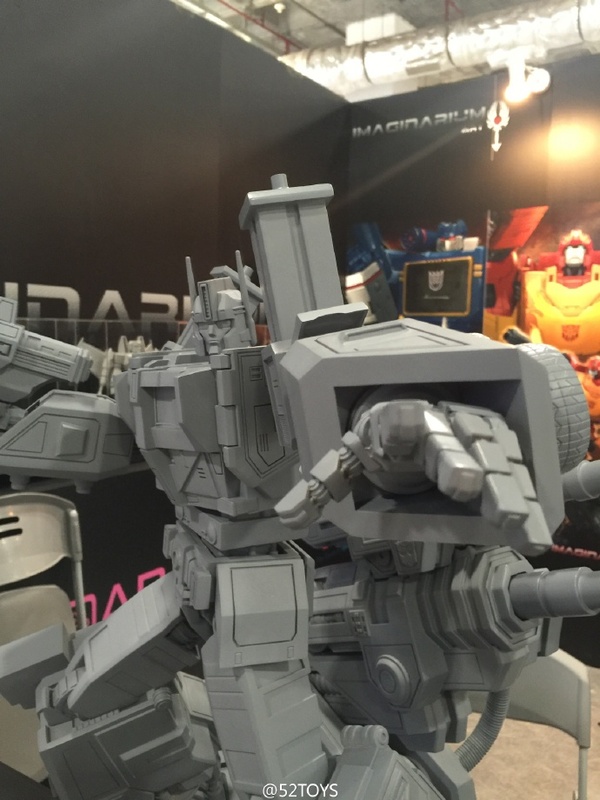 It looks like Hasbro is not the only one with new things to show during Cybertron Con 2016 in Shanghai, as Imaginarium Art has brought two amazing looking statues to convention. First off is an updated version of their previously announced Generations 1 SoundWave statue, which also include some of the iconic Decepticon Mini-Cassettes like Ravage, Lazerbeak, and Rumble (or Frenzy) scattered in a battlefield kind of setting. On top of that, they also brought out a never before seen statue of Generation 1 Ultra Magnus in a very commanding pose. Behind him on the statue is a set » Continue Reading. The post New Imaginarium Art Statue Prototype at Cybertron Con China 2016 appeared first on Transformer World 2005 - TFW2005.COM.